Many of them are now working as first responders in our own backyard. On September 11, 2018 the nation paused to honor the brave men and women who died and risked their lives to help others. Captain Anthony Makowski is one of those brave souls. 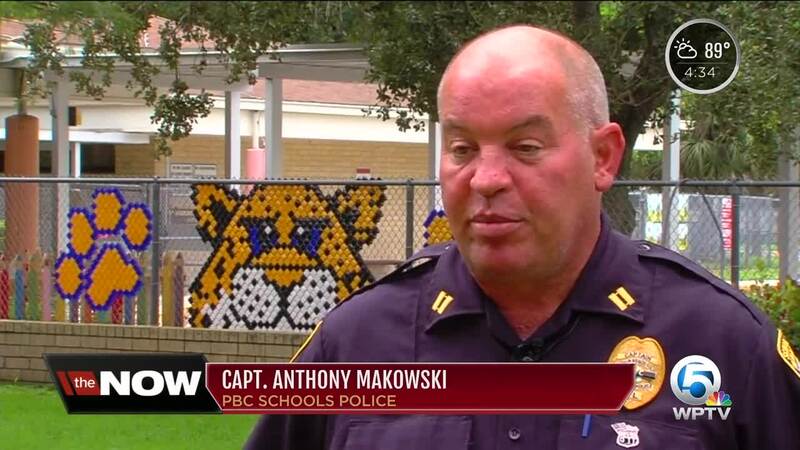 He has been serving and protecting the students of Palm Beach County schools for the past 14 years. “It’s the best part of the job, seeing all you kids here," he told students at H.L. Johnson Elementary School in Royal Palm Beach. The school hosted a first responders luncheon on Tuesday, paying tribute to school resource officers, PBSO deputies and Palm Beach County Fire Rescue crews with a breakfast and meet-and-greet with the students. Makowski said he spent the morning reflecting on where he stood, 17 years ago on that fateful day. Each year, he usually sets the alarm on his phone to chime when the planes first flew into the towers. Makowski had worked for New York City Police Department. Like thousands of others, he ran toward the chaos to help. “People have asked me that, why did I go to the building? And I don’t have an answer. I wasn’t ordered to go to the building, no one told me to go to the building," he said. He and other first responders worked to get people to safety and away from the danger. “Pushing people to snap them out of it, people were in such shock," he said. “Big pieces of glass were coming down. Unfortunately, people were jumping out of the windows to take their own lives rather than perish in a fire." He was still on the ground helping people when the first tower collapsed. “We looked up and you could see that smoke starting to billow off the top," Makowski described. After the chaos, he stayed for days helping to find victims in the rubble and safeguard the perimeter. And now, he’s taking that heroism and applying it to the front lines at local schools protecting our kids. “We’re here to make people feel safe," he said. His wife — Jennifer Makowski — is the principal at H.L. Johnson Elementary so she's all too familiar with the responsibilities and importance of keeping schools safe. She says Makowski is the perfect fit for the job. Makowski says like so many other first responders from 9/11 and those who work in Palm Beach County today, it’s just what he’s born to do. “I think my experience on 9/11 lends me to be a different person in terms of my commitment to keeping people safe," he said. 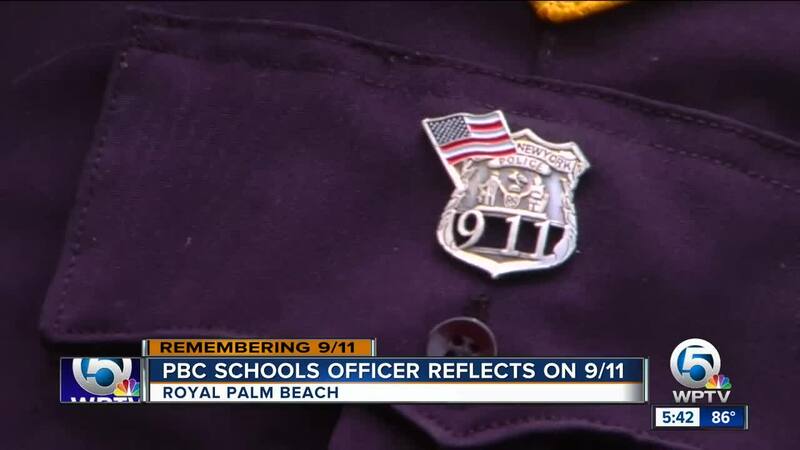 There are at least 20 officers with the Palm Beach County Schools Police Department who have also formerly served as 9/11 first responders.